Lighting accounts for up to 20% of your electricity bill each year, mainly because incandescent bulbs and halogen lights aren’t as efficient as they could be (that’s an understatement). The price of LED lights has fallen dramatically in recent years, so there’s never been a better time to make the change. Here’s just five reasons why LED lights will change your life (or at least reduce your ‘leccy bills). 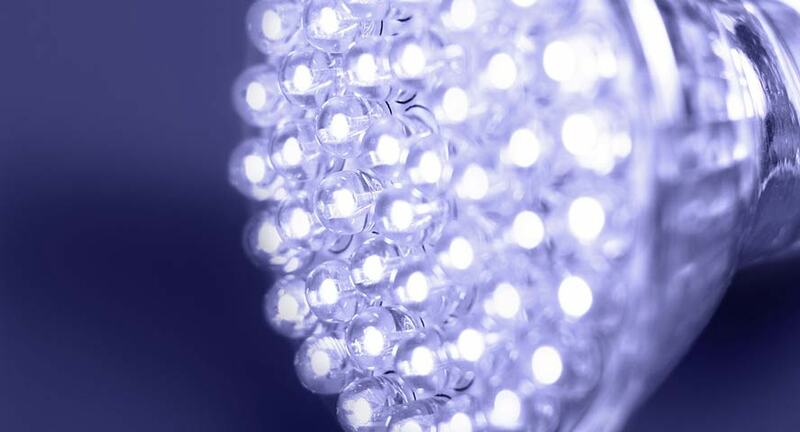 LED lights use just 9% of the energy of incandescent or halogen lights. This is quite staggering – remember that your lighting makes up a fifth of your electricity bill, after all. Swapping over to LEDs will essentially cut your bills by just under a fifth. Not only do they use far less electricity, they can last for 20-30 times longer than your usual bulbs. If you use halogens you’ll be painfully aware of how frequently they blow, adding to your overall costs. Yes, LEDs are still a bit pricier, but the fact they last for years makes up for that – and more. LED lights are different in character, it’s true and many people have felt they’re “cold”. This doesn’t have to be the case though as you can choose any colour you like – and change it as he mood takes you! You can also vary the intensity if you want. All at the touch of a button. You already know they use less energy, which is what we should be aiming at, but did you know that LED bulbs are recyclable? If you were using the older-style energy-saving bulbs (the ones that take a while to brighten up…) then you can’t recycle them as they contain mercury. Yes, those old-style energy-saving bulbs… You probably felt virtuous as you waited for the light to change from dingy to just-about-workable. They served their purpose – they got us all thinking about energy use, but their time is past now. LEDs zing into life as soon as you hit the switch.